A flowing yet powerful fusion of mind and movement” is how Jeanette describes Pilates. Her dedication to Pilates began over twenty years ago when working as a dancer and choreographer she experienced its benefits. “Many of my colleagues were sustaining chronic injuries which in some cases shortened their careers. I know now that by practicing the Pilates Method, I was fortunate to remain injury free with strength, balance and good flexibility.” After 15 years in the Fitness industry and Aquatic rehabilitation, Jeanette believes that practising the Pilates Method is a unique and truly holistic form of exercise that conditions the body to combat the stresses and strains of daily life and loves seeing the joy on her clients’ faces when they can move more freely and feel stronger. She has completed her Mat Work Certification with Michael King Pilates (London) and is currently taking this year off from University to devote to her Diploma of Pilates with APMA and her study of the Franklin Method training with Eric Franklin and Morten Dithmer. 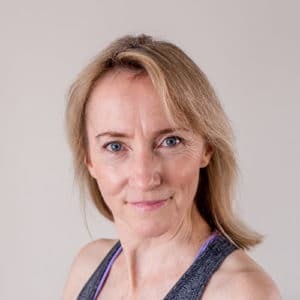 Jeanette teaches MatPilates classes held on Monday/Wednesday/Friday at 6am, Monday 7pm, Tuesday 8:30am & 9:30am, Thursday 9:30a.m & Saturdays 8:30a.m.